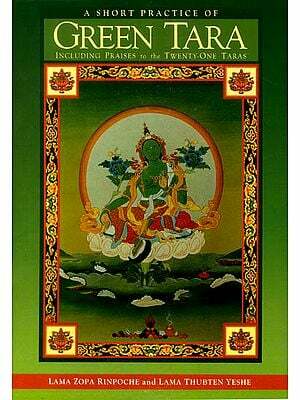 The Origin of Tara Tantra by Taranatha, one of the most accomplished scholars of the unorthodox Jo-nan sect, strings together from various fragmentary sources a mine of legends and episodes on the origin and diffusion of Tara's Tantra. Translated by David Templeman, this work is supplemented with voluminous notes, an excellent appendix and a comprehensive bibliography for the serious readers. Similar in style to the author's bkah. Babs. Bdun. Idan (1600), this work heralded Taranatha's major historic work History of Buddhism in India written four years later in 1608. 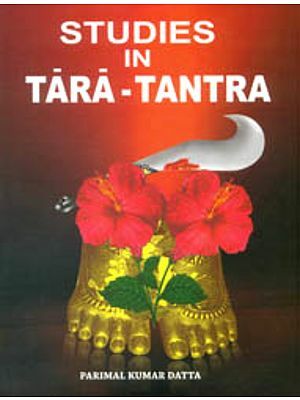 The Origin of Tara Tantra, though dependent on legends and largely anecdotal, has nevertheless about it a strong feeling of historic time and provides an important and accurate account of the lineages of the Siddhas who worshipped Tara and passed on her Upadesas, revelations and Tantra besides giving a background to the masters of the Tibetan Siddhas who grew from India's rich tantri soil. We are happy to publish the Origin of Tara Tantra by Jo Nang Taranatha as translated and edited by David Templeman. This is followed by Taranatha's bKa-babs-bdun-idan, which was done by Mr. Templeman. Taranatha's biography of his Indian Guru, Buddhaguptanatha and a second biography of Krsnacarya (the lineal primogenitor of Taranatha) by Taranatha's predecessor-but-one, the Mustang scholar, Kun dga' grol mchog. We hope readers interested in the female deity Tara and the famed 16th century teacher Taranatha will find these works useful. The great Tibetan historian Taranatha (Tib. Kn dga' snying po) was born in 1575 AD and studied at the monastery of jo mo nang, seat of the jo nang sect, situated about 40 miles north of the monastery of sa skya in the gtsang district of Tibet. During his time in gtsang (approx. 1575-mid 17th century) Taranatha rebuilt the temples of dga' Idang phung tshogs gling and the jo mo nang itself, and in the later period of his life he went to Mongolia, where he died. He is believed to have been reborn in the person of the Lama Reincarnate of Urga (Mongolia) known as Jetsun Dampa (Tib. Rje btsun dam pa). Prof. Tucci records that according to legend Taranatha's mortal remains are said to be enshrined at dsing ji (Tib. Rdzing phyi) about 65 mile east of Lhasa. At the time of Taranatha's life in gtsang the jo nang pa were regarded as a mildly unorthodox sect, and many savants consid- ered them to be an aberrant sub-sect of the bka' brgyud pa. Taranatha was in fact the last famous person to emerge from the jo nang sect for, soon after his death, the 5th Dalai Lama, ngag dbang blo bzang rgya mtsho (1617-1682), closed all their monasteries and later converted them to dge lugs pa institutions. This intolerance probably stemmed from two main causes, one metaphysical, the other political. The jo nang pas held a view of voidness (Tib. Stong pa nyid) which was defensible in debate but largely friendless and tolerated outside the sect itself as an anachronism. The most eminent jo nang pa, dol bu pa ses rab rgyal mtshan (1292-1361), the founder of the sect, held that not only was there an 'ordinary' voidness wherein phenomena were viewed as being empty of any self-nature, but that there was 'another voidness' (Tib. Gzhan stong), ".an absolute which is established in reality and is void of all heterogenous relative and phenomenal factors." The jo nang pas seem to have viewed this 'other voidness' as an absolute in itself and this drew dangerously close to certain of the Tirthika (heretical) views of India. It would appear that the 5th Dalai Lama was particularly sensitive to such 'heresy' (if indeed the reason for the closure was theological), for the great reformer Tsong kha pa (1357-1419), founder of the dge lugs school, had studied under the renowned jo nang teacher bo dong phyogs las rnam rgyal (1306-1386), and being well aware of the sect's concept of gzhan stong made no specific refutation of it. The wrath of political reaction is more obvious and hence a more likely cause of closure. The 5th Dalai Lama opposed the jo nang support for the ruler of gtsang district, kar ma bstan skyong, who resisted the dge lugs pa conversions in his district and among his allies, the Chogthu Mongols of Kokonor in Tibet's north-east As the 5th Dalai Lama's alliance with other Mongols (Qoshot, Dzungar, Torgut etc.) was uneasy, kar ma bstan skyong's opposition to conversions was a sore point with the ruler. His death at the hands of Gusri Khan, a Qoshot Mongol, in 1642 left the jo nang sect without patron/protectors and they could not oppose the closure. 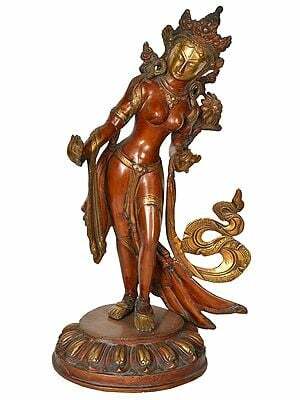 Taranatha's studies ranged over history, Kalacakra and commentarial works. It can be conjectured from the fragmentary style of this work that Taranatha is in fact stringing together various episodes heard from other sources, probably the main one being his prime Indian teacher Buddhaguptanatha, who was well travelled and a mine of stories. Whole eras seem to be glossed over with short shrift and yet the thread of the diffusion of Tara's Tantra remains as the discernible core despite the gaps. Most of the locations mentioned, although often vague in present-day geography, seem to fit in with the picture of the spread of Buddhism that we know already. However, from his charming descriptions of the marvelous world outside Tibet, filled with village-devouring snakes and iron-nosed fish etc, it is clear that Taranatha never left the land of snows (except for his Mongolian sojourn) and if he had, the refreshing credulousness of his accounts would have suffered. Furthermore, had he gone to India (the perfect land to Tibetans-Tib. 'phags pa'I yul) he would have been disillusioned by the ver-shrinking arc of Buddhism, for in many of his works his descriptions of the constant spread of the doctrine are coloured by pious wish rather than by fact. From the many Tibetans who actually visited India and subsequently wrote of their experiences, few examples are available of the legends heard and the religious and political climate. Perhaps the most accurate and interesting, certainly the most readable, is that of chag lo tsa ba who visited India from 1234-1236. It is of interest to note that some of his legends of holy images and sacred spots are also mentioned by Taranatha who retains their basic accuracy to a great degree. We cannot of course rule out the biography of chag lo tsa ba as one of Taranatha's prime sources for that period. Taranatha's accounts of swift conversions to Buddhism (often coerced), the defeat of heretics and the details of Siddhas' lives make for interesting reading as a background to India of the 7th to 12th centuries AD for the general reader, but it is in the accuracy of the Siddhas' lineages and details of the ministry that the work has its prime importance. The work itself is similar in style to the so-called bka' babs bdun Idan of Taranatha, written in 1600, inasmuch as it is largely anecdotal and deals with the lives of Siddhas. 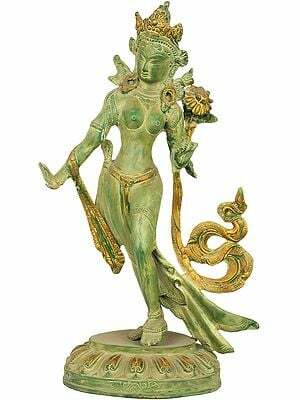 The major difference, however, is that the Siddhas in the present work are renowned as Tara worshippers and passed on her Upadesas, revelations and her Tantra. Despite Taranatha's reliance on legend, etc, the work has about it a strong feeling of historic time, and proves to be fairly satisfactory as an aid to the study of Indian religious history in the period, as well as giving a background to the masters of the Tibetan Siddhas who grew from India's rich tantric soil. Taranatha's major historic work, the rgya gar chos 'byung (written in 1608), a monument to this particular text. Taranatha's optimistic view of the spread of Buddhism, especially in the rgya gar chos 'byung, was tinted with religious myopia. Buddhism's decline (nearly 400 years old in 1608) was past history. The optimism of the last few chapters was baseless. But then, as Debiprasad Chattopadhyaya observes in the preface to the Chimpa / Chattopadhyaya translation of the above-mentioned text: ".historiography for the Buddhists had always been as important mode of propagating their creed," (p. VII). It is in this light that we must interpret the present work.